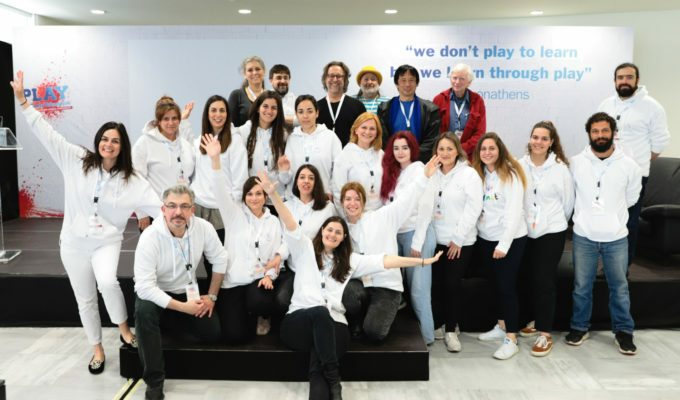 Copyright Greek city times 2019 All Rights Reserved. 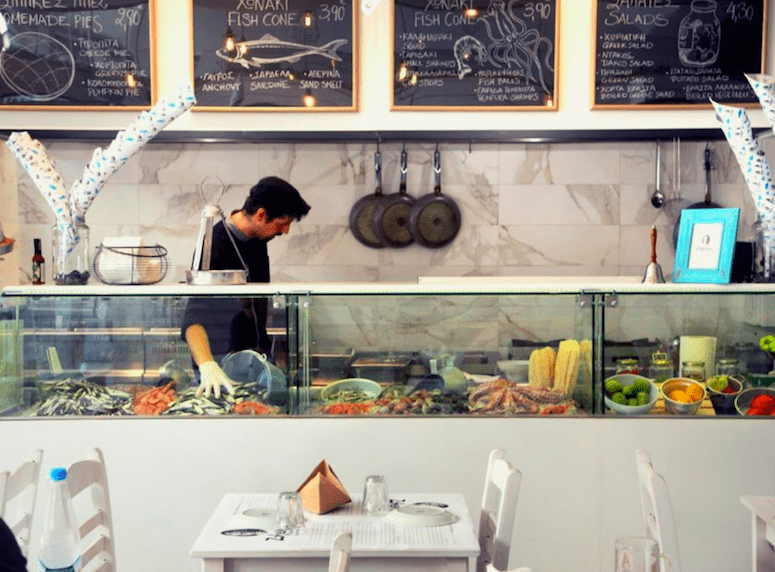 As souvlaki store after souvlaki store has popped up around Athens over the years (especially after the economic crisis hit hard, as it became a cheap and cheerful option for many), I often wondered why there were no fast food places selling fish instead. Fish, after all, is a dietary staple that Greece is bestowed with, and very integral to our dietary culture. During a trip to Japan I was impressed to see street food stands selling fish that is common to Greece such squid and octopus that was marinated (often in yummy sticky sauces), freshly grilled and served on a stick for next to nothing. 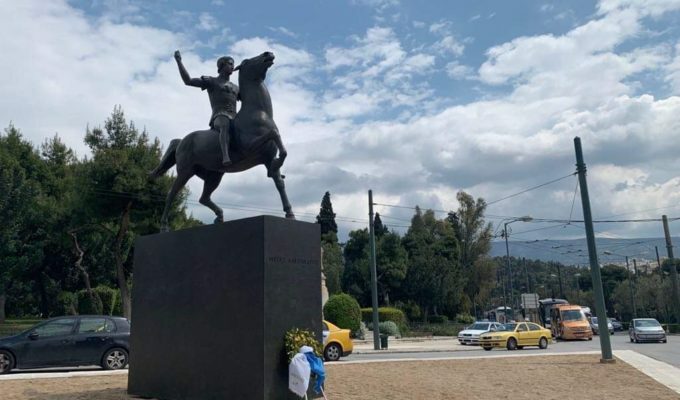 I remember having one of those hair-pulling moments I’ve often had travelling around Greece when I feel exasperated by its endless, untapped potential, wondering why on earth this wasn’t happening here. 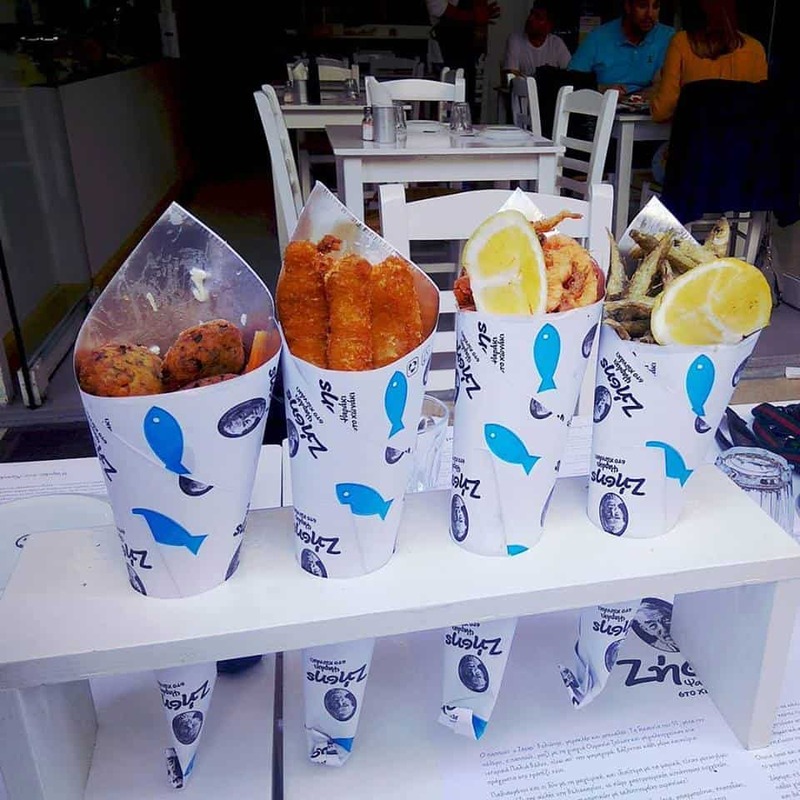 So, I was very pleased to discover Zissis, which opened in Monastiraki in September 2017 and serves fried calamari, baby shrimp, cod sticks, fish croquettes, anchovies and breaded prawns to eat in or take out in a cone, the bottom of which is stuffed with a well-seasoned salad. The place was the brainchild of Zissis Papazissis, a young entrepreneur with a solid background in the food and wine industry. 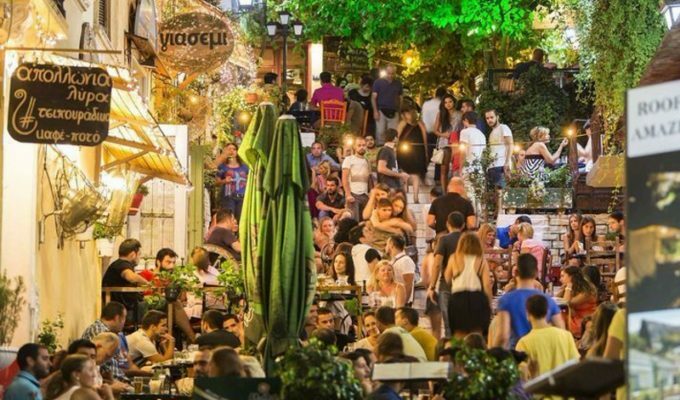 He drove to Athens 16 years ago with nothing but his car leaving behind his native Volos and worked in high-end establishments like Grand Resort Lagonissi, Beau Brummel and Hilton Athens, learning how businesses are run, how food is prepared and what tourists want. Noting that there was a gap in the food market for a place like his, he grabbed the chance to be the first to introduce the restaurant, which also serves a variety of main dishes like pastas, soups, steamed mussels, fresh clams, salads and broiled fish; there is absolutely no meat on the menu, as Zissis says “if someone wants a bifteki they had straight down the road!”. He buys his fish straight from the sea in Keratsini and Halkida, as well as the Sporades and northern Aegean, because as he says, fish has to be at its freshest, and particularly small fish, which are eaten whole so you get a full nutritional package – Omega 3s, protein from the bones and plenty of other nutrients. 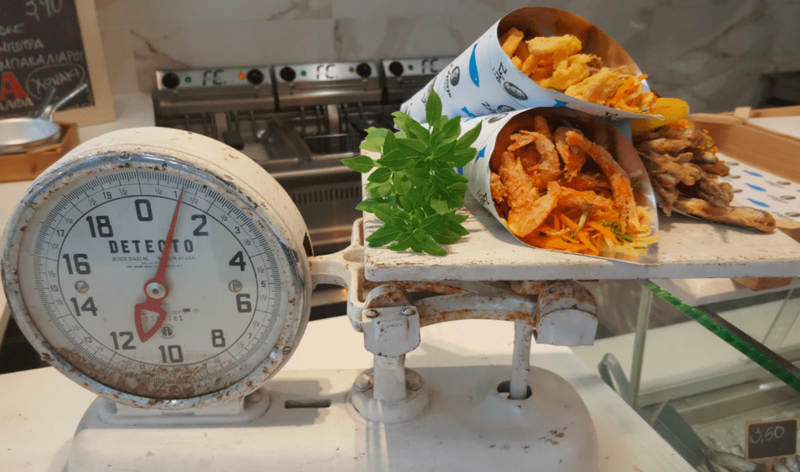 I for one was pleased to walk around the town mid-jobs munching on crunchy kalamarakia rather than a cheese pie – it evoked a bit of carefree summer joy (as they always remind me of beachside tavernas) and tasted great too. 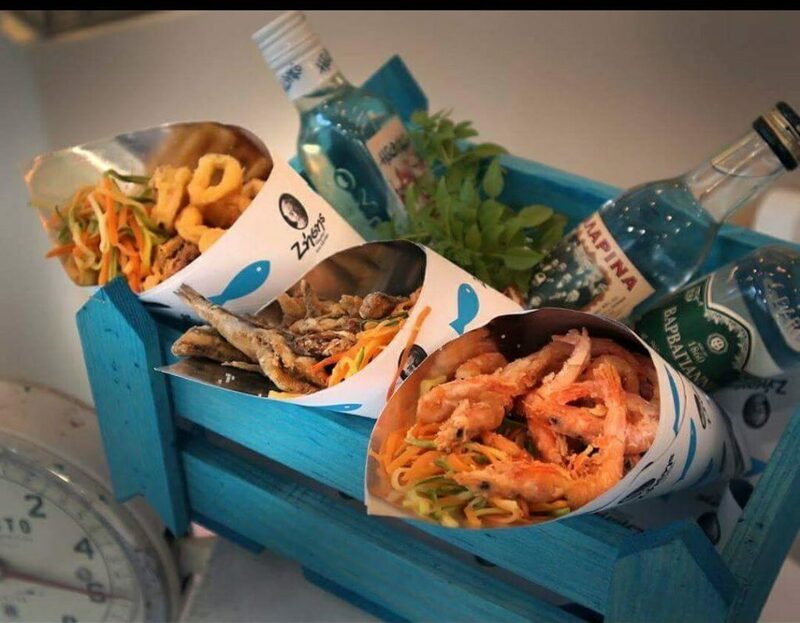 Next time I will opt for the breaded shrimps with a homemade sweet and sour sauce, and there is definitely a plan in the making to dine there with friends and try a selection of fresh seafood like sea urchin salad and creamy prawn pasta along with some icy ouzo. The service is polite and efficient, which is always a plus, and the prices accessible. 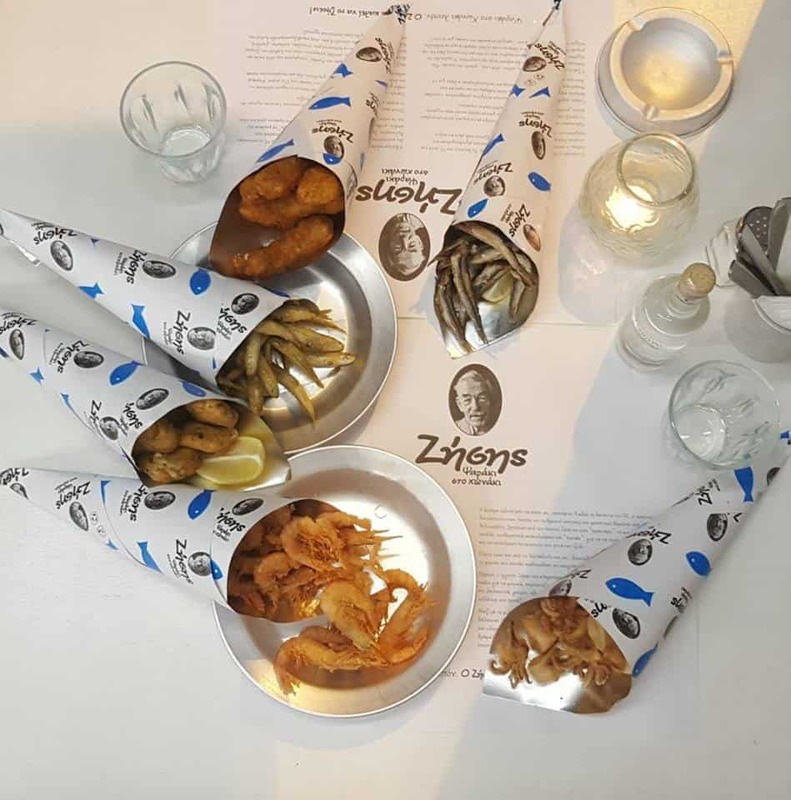 I’m convinced that competition will soon appear as word spreads, but that can only be a good thing as Zissis has a standard high enough to keep going strong, while it will mean more of a healthier, meat-free takeout options for Athenians and tourists alike. Alexia Amvrazi enjoys the thrill of discovering beauty in the world around her. 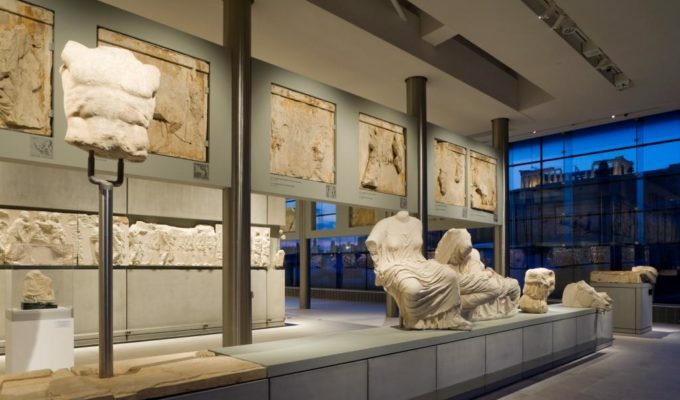 With a passionately hands-on approach to Greece's travel, gastronomy, holistic living, culture, innovation and creativity, for 20 years she has explored and shared her findings with the world on all aspects of the country and its people via writing, radio, blogs and videos. Although her childhood and early youth in Italy, Egypt and England left her feeling somewhat root-less, she is by now firmly connected to her native land, bravely weathering the hurricane known as the Greek crisis!